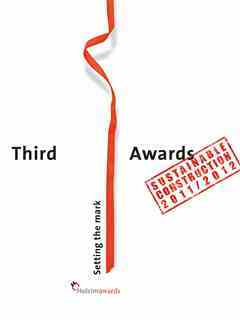 The Holcim Awards competition has become an internationally-recognized standard bearer of the values of sustainability. 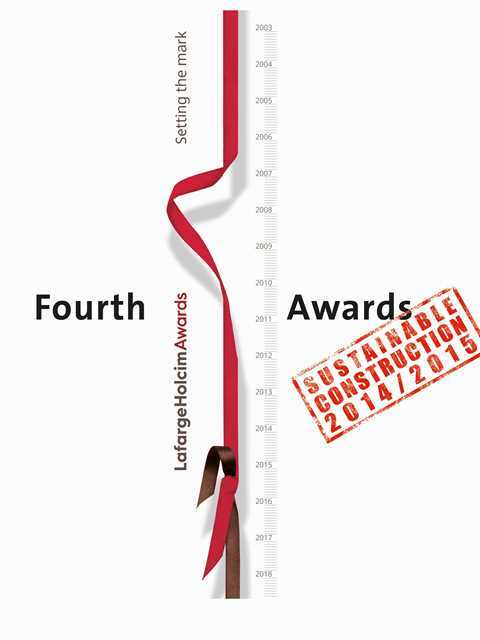 The newly-published book Fourth Holcim Awards – Sustainable Construction 2014/2015 presents an overview of the current global status of innovative approaches that meet societal needs, promote an economy of means and address ecological footprints. This cycle’s winning submissions represent the largest and most geographically-diverse set of sustainable construction projects and visions in the history of the competition. They illustrate increasingly sophisticated approaches that offer the possibilities of architectural aesthetics and “green building” as well as enabling social agency. The 236-page illustrated book commemorates the winners of the fourth cycle of the Holcim Awards. 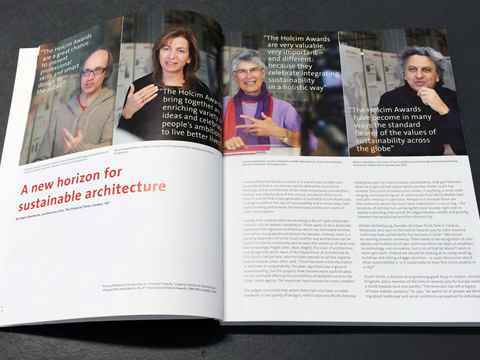 It features in-depth articles on the 15 finalist teams and their projects from all regions of the world that qualified for the Global Holcim Awards 2015 and celebrates the main winning entries. 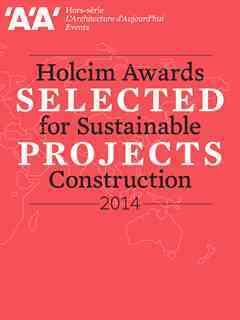 Fourth Holcim Awards 2014/2015 also includes project descriptions and jury appraisals of all 62 projects that received prizes in the most recent regional competitions.